Why Princess Eugenie wanter her wedding dress to show her scar. The reason Princess Eugenie made her surgery scar the centre of her wedding outfit. 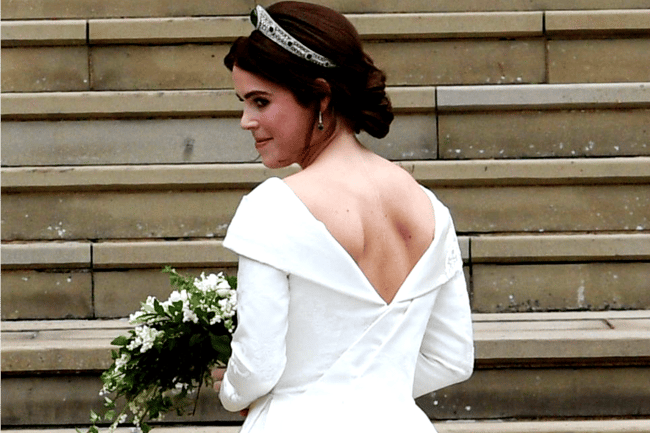 When Princess Eugenie walked down the aisle at St George’s Chapel to marry Jack Brooksbank, her wedding dress bucked royal tradition in the best way possible. The deep-V cut of her gown combined with her decision not to wear a veil, meant her scoliosis scar from her childhood surgery at 12 was fully on show. It was an intentional decision she asked for from the initial meetings with Peter Pilotto and Christopher De Vos, the designers behind her stunning wedding dress. Sharing her scoliosis journey with The Telegraph UK, as part of their Christmas Charity Appeal for Changing Faces, which provides support and advice for people with a “visible difference,” the 28-year-old described why she always viewed her scar as a “point of pride”. “I don’t think I actually thought: ‘Oh, I will have a scar’,” she says, stating that she was more focused on staying in school and being “normal like the other students”. We list the best dressed guests at Princess Eugenie and Jack Brooksbank’s wedding. 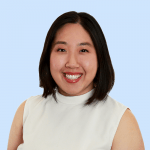 She also says that while she was overcome by fear before the operation, this emotion soon turned to anger and frustration during the recovery process. “I couldn’t move for a while in hospital or when I came home. I had to wear a neck brace and be moved very gently in bed for a few months,” she said. However, as Eugenie got older, her pride in her recovery and scar grew. She began to involve herself in the scoliosis community and still regularly visits the Royal National Orthopaedic Hospital, where she received her corrective surgery. The Princess even invited the surgeon who performed the operation, Dr Jan Lehovsky, to her wedding on October 12. “As I got older, I became very proud to show it to people who were going through the same thing,” she said. “It made me realise that I can help others by showing it, and that there didn’t need to be a scared, embarrassed girl standing alone. Therefore it made perfect sense for Princess Eugenie to showcase her scar when she walked down the aisle, with millions watching her. Describing the design process, she said the entire process came together very swiftly. “After one or two initial meetings where I said I wanted to show my back and scar, we had a fitting and in their first attempt at the shape and design of the dress, they got me and the vision in one,” she said, who eventually chose against wearing a veil as it would have “taken away from the scar”. And for Princess Eugenie, it’s clearly a decision she absolutely stands by. “Your scars are a way of communicating, and sharing a trauma can be healing in so many ways. It can release that stigma you might have given to yourself and by talking about it you can show people how they can heal, too,” she told The Telegraph. What did you think of Princess Eugenie’s wedding dress? Did you love them meaning behind it? Tell us in a comment below.